The melange of healthcare data housed in “siloed” systems has held back the advancement of the care continuum. A few years back, it was difficult to even envision an integrated system gleaning up healthcare data from countless databases and record assets to provide better insights. But that is precisely what the visionary founders of Innovaccer sought to achieve. Back in the day, a data analytics project at Wharton and Harvard University gave Innovaccer’s founders the impetus to lay the cornerstone of their venture in Silicon Valley. “The project focused on bringing distributed data assets together and leveraging data through analytical technologies like machine learning to understand them in a better way,” begins Abhinav Shashank, Co-founder and CEO, Innovaccer. The idea behind Innovaccer spurred even before the term Big Data found its prominence; processing reams of information and deriving quality insights. Innovaccer today assists healthcare organizations in understanding the population by integrating complex healthcare data coming from disparate sources and running advanced analytics on it for better health care. The goal to deliver structured and simplified data analytics started with assisting the top researchers in healthcare to pull data from various EHR systems and drive clinical analytics. Innovaccer’s proprietary product Datashop is the operating system that powers healthcare, helping value-focused organizations use data as a source of innovation to improve clinical outcomes. “We have architected a platform that collates healthcare data into a single source-of-truth data lake for measuring clinical outcomes and performance. Data Lake acts as an operating system that powers healthcare wherein data from various EMRs, clearing houses, lab systems and pharmacy systems are subjected to machine learning cleaning,” states Sandeep Gupta, Co-Founder and CRO, Innovaccer. The firm’s integrated Data Lake—a Hadoop-powered Big Data platform—consolidates healthcare data in a clean and standardized format for quicker and easier analytics. With a point and click user-friendly interface planted atop the platform, healthcare organizations can access, search, crunch, and analyze data seamlessly without having to write a single line of code. Innovaccer’s platform facilitates seamless data exchange with the help of a bi-directional in-teroperable Data Lake where data can be pulled and pushed from EHRs. 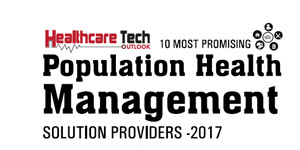 Datashop Population Health Manager comprises risk stratification, care coordination, prescriptive capabilities and over 800 prebuilt measures assisting ACOs in reporting quality and regulatory measures. “Care teams can access data of all the patients from a range of demographic, clinical, and risk factors in real time. This helps the healthcare industry stay agile, nimble, and up to date with policy changes,” states Shashank. The daunting rise in chronic diseases is putting the squeeze on care managers in managing the patient population. However, with Innovaccer’s advanced tools, managing patients’ health and interventions is a breeze. “With our Big Data solution, stratification of lives based on risk, care gaps, or events like elevation in risk, BMI or insulin level happens in real-time and our intelligent scheduling system feeds next patient interventions into care coaches’ schedules automatically," states Kanav Hasija, Co-Founder and COO, Innovaccer. Adding to Innovaccer PHM suite, the firm also assists healthcare organizations in automated care coordination and patient engagement based on the risk assessment of the population. In an era where Big Data revolution in healthcare is underway, Innovaccer’s zest to be a catalyst of change is paving the way to etch an impression in the sector. Driven by the shared passion of ushering in technologies that change lives, Innovaccer is working with various healthcare networks, reaching out to 4 million lives. “The goal is to reach a 100 million by 2020,” concludes Shashank.